On Saturday, Fleetwood Mac will return to Lincoln for the first time in more than 30 years, bringing its full “Rumours”-era lineup to Pinnacle Bank Arena for a career-spanning nearly three-hour show. 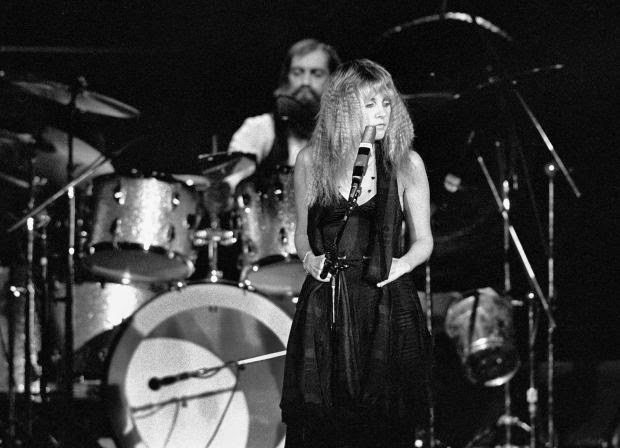 That lineup -- singer Stevie Nicks, keyboardist Christine McVie, guitarist Lindsey Buckingham, bassist John McVie and drummer Mick Fleetwood -- initially came together in 1974. Before that, Fleetwood Mac was a very different band. Formed in 1967 by guitarist Peter Green and named after former John Mayall bandmates Fleetwood and John McVie, Fleetwood Mac Mach One was a noted outfit in the British blues revival of the late '60s/early '70s. 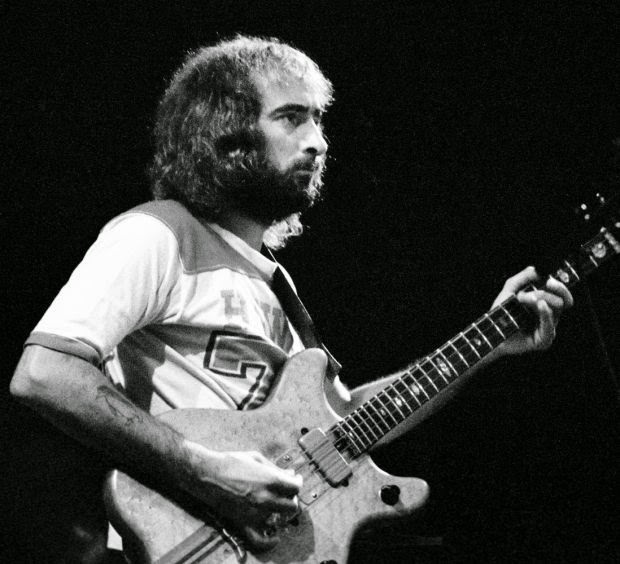 After Green left the group and it passed through several lineup changes, Fleetwood, the McVies and then-guitarist Bob Welch relocated to Los Angeles. When Welch left the band, Buckingham was recruited to replace him. He insisted on bringing along his musical partner and girlfriend, Stevie Nicks. They joined Fleetwood Mac on New Year’s Eve 1974. The next year saw the release of the album “Fleetwood Mac,” which triggered the band’s rise to the stardom that has endured since. In 1977, Fleetwood Mac released its 11th album, but just its second with its new lineup. Primarily written by Nicks, Buckingham and Christine McVie, the album chronicled the breakups of the two band couples with songs that were transformed into enduring pop anthems. “Rumours” includes “Say You Love Me,” “Go Your Own Way,” “Dreams,” “Don’t Stop,” “You Make Loving Fun,” all of them hits. It sold millions out of the box, turning Fleetwood Mac into an arena-filling band. It continued to sell strongly, eventually becoming one of the top-selling albums of all time. As of 2009, “Rumours” had sold more than 40 million copies worldwide. 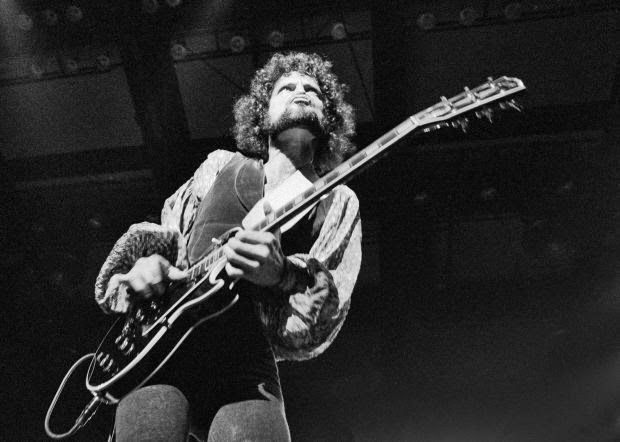 It is one of four albums to receive the Recording Industry Association of America’s “Diamond” award, recognizing sales of 20 million copies in the U.S.
Fleetwood Mac played the Bob Devaney Sports Center twice. The first of those shows, on Sept. 15, 1977, was the first non-Nebraska State Fair concert in the then-2-year-old building. “The night was bursting with goodness and enthusiasm, and it belonged to a witch named Rhiannon,” wrote the Lincoln Star’s Deb Gray in a review that devoted much of its space to noting that the show was a peaceful success with no noticeable marijuana odor and, strangely, to opener Kenny Loggins. Both concerts drew about 12,500 people, according to Journal Star files. About 14,000 people will be at Saturday’s sold-out PBA show. Edward Hopper’s “Room in New York” is the most famous painting in the collection of the Sheldon Museum of Art. Completed in 1932 and exhibited at that year’s Whitney Biennial, Hopper’s painting depicts a man sitting at a table reading a newspaper and a woman bored at the piano as seen through a window. In 1988, Fleetwood Mac released a video for “As Long As You Follow,” one of two new tracks on the band’s “Greatest Hits” album. Sung by Christine McVie, the song was an adult contemporary hit. Shot through the windows of a building with “HOPPER” in neon lights, the video looks at three couples -- one fighting, one amorous and the bored couple from “Room in New York” -- which is essentially replicated in the video with falling snow added in the foreground. Saturday’s Lincoln show is one of the first 2015 stops on Fleetwood Mac’s “On With the Show” tour that began last year. Previous concerts have lasted more than 2½ hours with 24 songs performed. The “On With the Show” tour marks the first time that Christine McVie has performed with the band in 16 years. She left the band in 1998, living semi-reclusively in a small English town before deciding to rejoin the group last year.